MELBOURNE, Australia — The Royal Melbourne Institute of Technology ( RMIT University) in Australia is one of the country’s leading educational institutions. It offers a vast range of technical courses and has a reputation that is global in its reach. 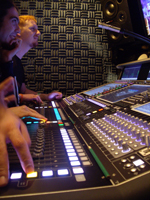 One course that elicits a high demand for entrants is the Music Industry course. 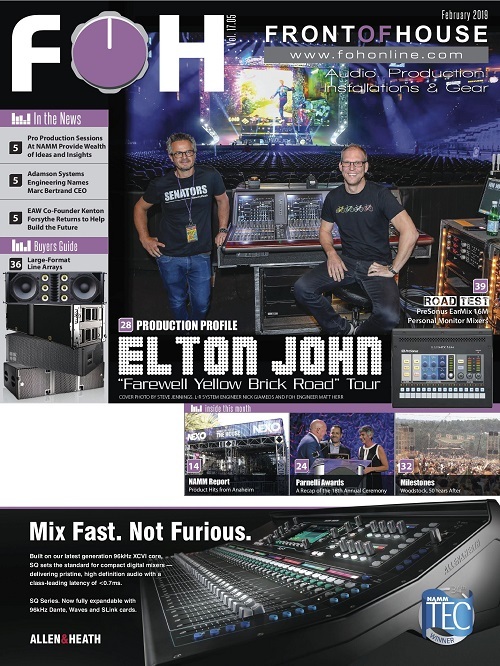 The University aims to offer its students the most relevant products available to equip them for life out in the real world, and the recent opportunity to get hands on experience with a DiGiCo SD7 has helped to do just that. NORTHRIDGE, Calif. — Wassmann Audio Video has installed of JBL Control Contractor loudspeakers and VRX line arrays in 10 Six Flags theme parks across the country. While each location poses its own acoustical challenges, JBL Control 29AV surface-mount loudspeakers and VRX932LA compact line array loudspeakers are prevalent in each park. 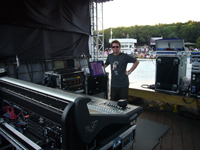 ENGLAND — Dave Bracey was one of the first engineers to appreciate the benefits of DiGiCo consoles, having put the D5 through its paces on tour with Robbie Williams back in 2003 and continuing to use it with a variety of acts since, and is as well versed with DiGiCo’s D Series as just about anyone could be. BEIJING — Managing to connect a thin bat with a small round ball has been an athletic pursuit for a great many centuries, and it will take on new significance when women’s softball teams from around the world converge on Beijing to play in the Olympics Softball event. 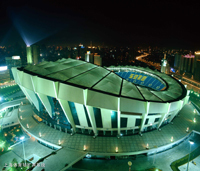 The large stadium complex, which consists of two ball fields and one training field, with a seating capacity of 13,000 will require sound commensurate with its scale. BEIJING — Few sports test an Olympic athlete the same way that cycling does. It requires maximum strength and endurance for the cyclist to perform at the highest level. At the Beijing 2008 Summer Games, cyclists are competing in the new Laoshan Velodrome, whose sound system is only matched in excellence by the Olympians themselves. SAN FRANCISCO — At San Francisco’s Golden Gate Park, the first Outside Lands Music and Arts Festival will treat a record audience to more than 60 bands, including headliners Radiohead, Tom Petty & The Heartbreakers and Jack Johnson. Outside Lands urges attendees to think and act on climate change by featuring the Eco Lands interactive conservation program, a solar-powered stage, an organic farmers’ market and plenty of educational opportunities. 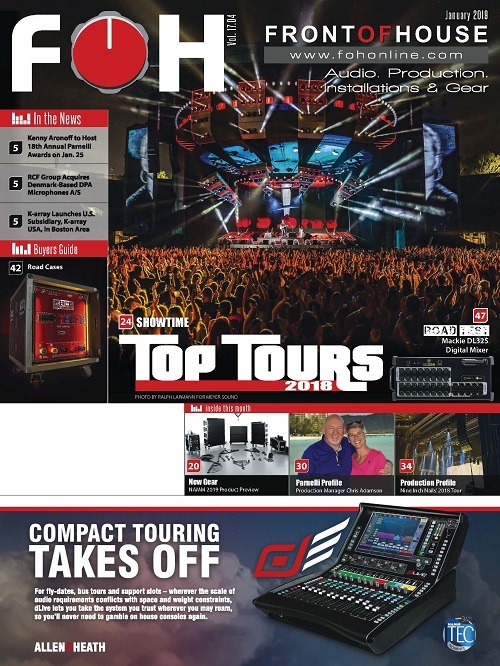 Meyer Sound has signed on as the festival’s official Audio Systems Partner, providing its award-winning sound reinforcement equipment in collaboration with its dealer, Hercules, Calif.-based Pro Media/UltraSound. BUENA PARK, Calif. — Kool & The Gang's story starts in the Jersey City, N.J. projects. They were teenagers, studying Miles Davis albums and James Brown singles while jamming in basements. In 1969, they made their first record. Still teenagers, and full of confidence, they named that first record after themselves. Their confidence and creativity produced a string of loose-but-tight records, culminating in the Pop Chart smash Jungle Boogie. Kool & The Gang found a special sound at the unique intersection of jazz, r&b, funk and pop. 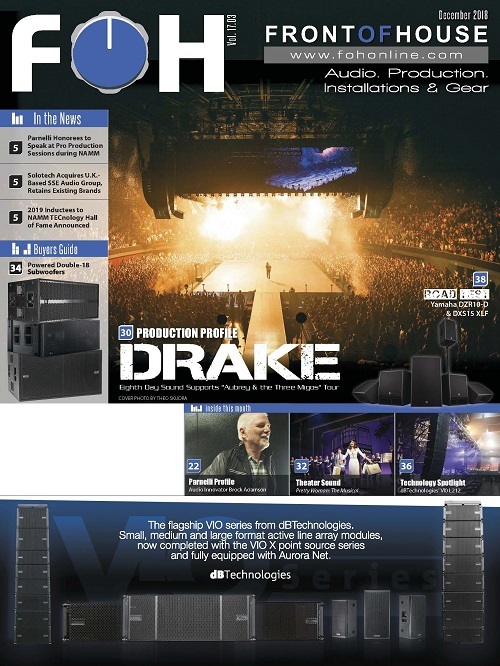 The group’s current monitor sound, and for the past seven years, can be attributed to Alfred ‘AL-Tee’ Williams who for the past four years has been using a Yamaha PM5D digital audio console. NHA TRANG, VIETNAM — Eighty contestants competed this year at the Diamond Bay Resort's Crown Convention Center in the 57th Miss Universe beauty pageant. Broadcast globally on NBC, the event was the first major U.S.-based television production originating in Vietnam since the end of the Vietnam War. 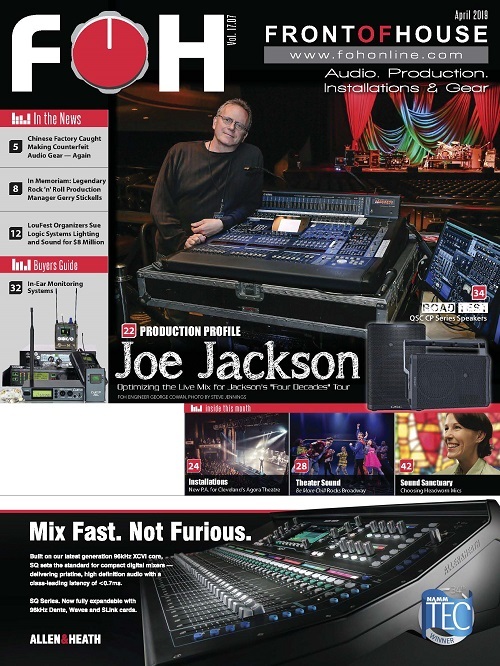 Bringing audio to the event proved to be a logistical challenge managed adroitly by Red Hook, N.Y.-based Firehouse Productions Inc., which assembled the components needed for an entire PA in the U.S. and then shipped them to Vietnam with the aid of Rock-it Cargo USA. Purchased outright for permanent installation by the convention center, the system included a microphone package delivered from Shure Incorporated’s world headquarters in Niles, Ill.
WASHINGTON — Google has upped the ante in the white space debate with the launch of a new public campaign and Web site, “Free the Airwaves,” advocating for the deregulation of white space between broadcast TV channels. The FCC continues its field tests; however, the technological problems continue to go unresolved — All tests up to this point have failed. Click here to read about a recent test. 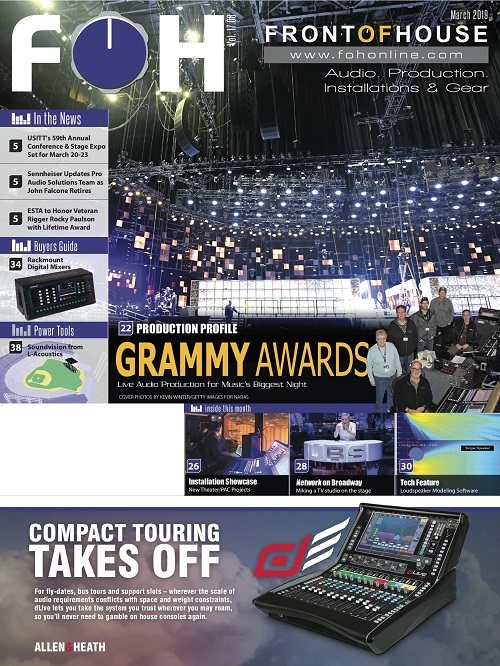 ST. LOUIS — Central Baptist Church, located in St. Louis, has installed two iLive-80 digital consoles to handle FOH/monitors and Broadcast positions. A 750-seat facility, Central Baptist Church (CBC) is a dynamic musical church led by the charismatic and compelling Dr. Robert C. Scott. In addition to the various weekly services, CBC hosts a number of events including theatrical, musical and dance performances, community events, guest speakers, workshops and educational sessions. Installation was governed by Drainer Albright & Associates with system integration by Modern Communications and Output Unlimited. Sensaphonics Hearing Conservation, Inc. is introducing the dB Check in-ear sound level analyzer, the first device capable of accurately measuring sound pressure levels with the earphones inserted. Designed to work with Sensaphonics custom earphones, the dB Check is a handheld unit that measures and displays the actual A-weighted SPL and, more importantly, the recommended safe exposure time for that level on both the NIOSH and OSHA scales.